Yes, one of the partners who seek to benefit in this mega-venture is also one of the most recognizable athletes (people?) on the planet. According to The Sun, the professional soccer star turned Armani underwear model turned multi-million dollar business mogul earned a staggering £18.75 million in 2017 from the “commercialisation of the ‘David Beckham’ brand.” Yes, he made that much money simply by being himself. Enter Lebron James. After leaving Cleveland for Miami, Miami for Cleveland, and Cleveland for Los Angeles, the 33-year-old MVP finds himself on the receiving end of a $153 million deal with the Lakers. Beyond sports, he’s the owner/co-owner of an entertainment company, a marketing firm, an English soccer club, and the national Blaze Pizza chain. He even has his own charitable foundation, centered around providing “education and co-curricular educational initiatives” to kids and teens. With 41 million Twitter followers, King James has built a sizable following, sold more signature Nike shoes than any other active player, and has his hands in more projects and investable properties than we care to count. Lebron James’ narrative is full of ups and downs. It’s authentic, non-linear and never dull, and his talents on and off the court have widespread appeal. This is ultimately why we care about him—and why he has transcended basketball stardom to become a recognized and revered brand on the global scale. 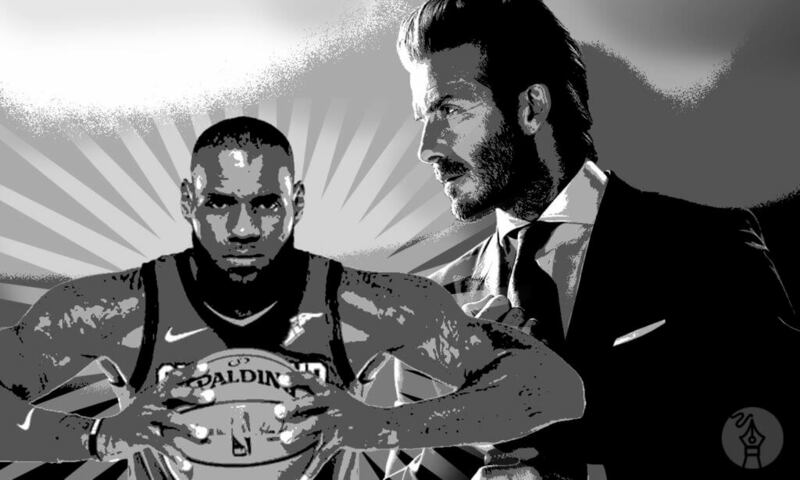 While your brand may not play for the Lakers or have its own signature sneaker, you can still invest time in crafting a gripping brand story that captures consumers’ attention and entices them to follow your every move. Consider Burt’s Bees, a company founded in 1984 by a local artist and a beekeeper. Behind their sleek website and modern designs is a rich, deeply personal history, a passion for nature and nutrition, and commitments to sustainability and responsible sourcing. As for the appeal: Burt’s has created an extensive line of skin care and cosmetic products that meet the needs and desires of an ever-expanding customer base all over the world. Remember: Before Lebron was “King James”… he was a hardworking ball player at St. Vincent-St. Mary High School in Akron, Ohio. Before David Beckham was “David Beckham”… he was the mascot for Manchester United. Don’t overlook humble beginnings, and don’t assume that success is achieved overnight. Instead, focus on stellar storytelling, and provide products and services that have widespread appeal. Concentrate on those two pivotal elements (and communicating them effectively), and you’ll have your own Nike deal in no time.